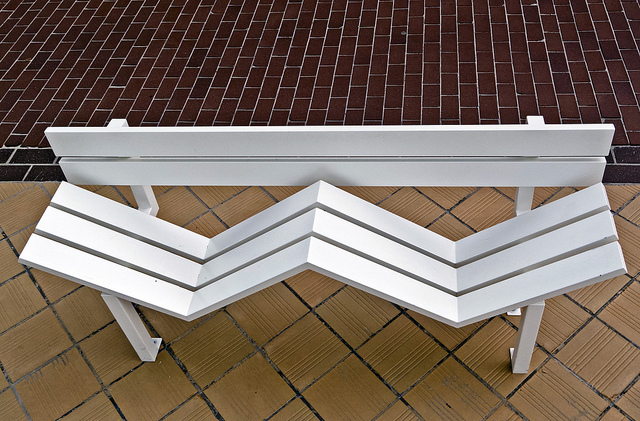 Jeppe Hein has re-imagined the average public bench by creating a series of modified benches that open up discussion about social behavior in urban spaces. The Danish artist took the form of a typical bench and adapted it in different ways, using raised platforms or diagonal sections to alter the staid seat’s function. Installed in the seaside Belgian town of De Haan, the benches turned sitting into a conscious task. Their finished forms lie somewhere between dysfunctional objects and works of art. Hein aimed to open up a dialogue between those that use them and the people passing by about the often-overlooked social qualities of the common bench. The modified benches follow Hein’s previous work around similar ideas, such as his Loop Bench – a labyrinth form that combines sculpture and social space. 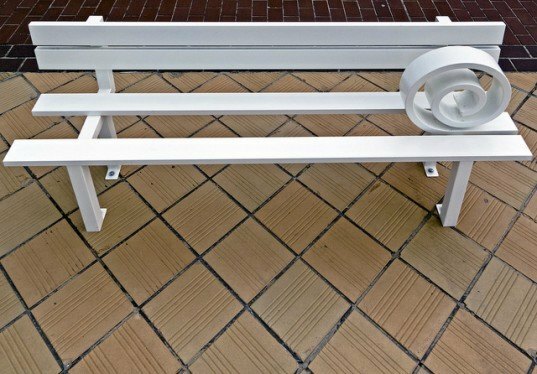 Jeppe Hein has re imagined the average public bench and designed a series of modified benches to open up a discussion about social behavior in urban space. The concept was born out of an investigation of architecture, communication, and social behaviour in the urban space. The Danish artist then took the form of a typical bench and adapted it in different ways with raised platforms or diagonal sections, making them less a comfortable place to rest than an active concept in the urban environment. The benches became a contradiction, lying somewhere between a dysfunctional object and an artwork. Hein aimed to open up a dialogue between those that use them and people passing by, about the often overlooked social quality of the common bench. For the seaside residents of De Haan, a small Belgian town where the benches were located, sitting then became a conscious task.